This anti-aging "replacement" on cytonacre sp regenerating enriched extract sesame and water sensors to provide immediate comfort. Smoother, firmer, more even skin shines with a new radiance. Clinical studies performed on 41 women (pre -) - Postmenopausal adults 45 to 60 years Application twice daily for 28 days. Apply morning and / or evening on face and neck perfectly cleansed, soft massage. 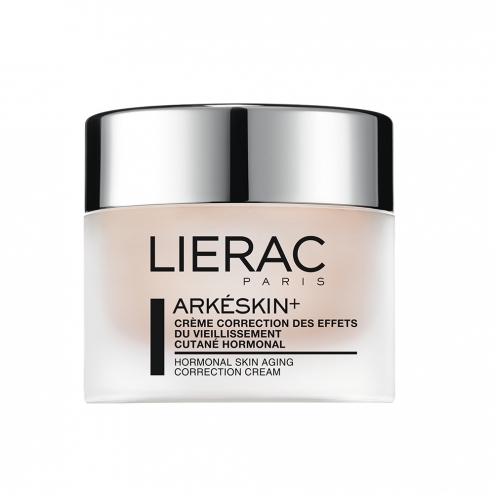 This treatment without phyto-oestog�nes is specifically formulated to correct the effects of hormonal aging. Cytonacre sp 0.5%: active extract of the nacre which acts on skin cells to restore the integrity of the skin. Chestnut extracts 0.5%: active that can boost the synthesis of ceramides to rebuild the skin in depth. NMF water sensors 5%: natural moisturizing factors are able to bind and retain water to maintain proper hydration.